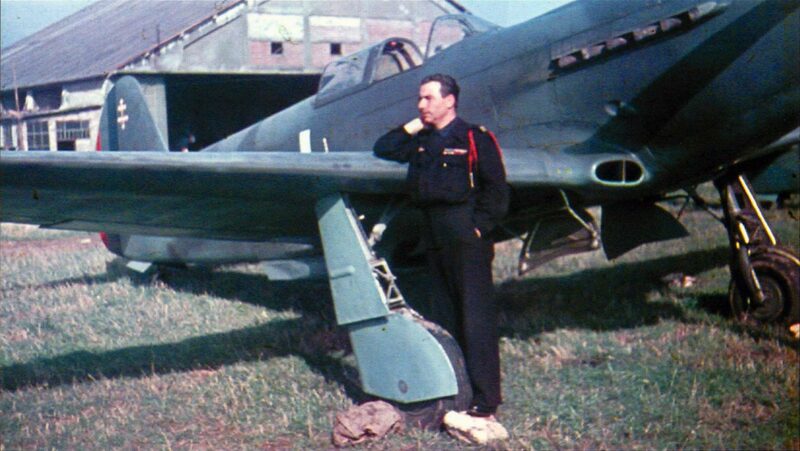 Captain Joseph Risso about his Yak-3 №1 from the regiment “Normandie-Neman”. In 1940, Joseph Risso and his friend Nikloss tried to escape from Vichy France on a captured Codron Samun plane. Having lost their way, the fugitives landed in Spain, where they were taken into custody. Later, Joseph Risso managed to get to England, from where, together with the first group of French volunteer pilots, he went to the USSR to form the GC 3 Normandie group. He won the first official personal air victory on September 14, 1943; he won 11 official victories in total (5 of them in the group) and 4 unconfirmed.